The bearded man was saying something to me in a language I did not understand. I tried addressing him in Spanish, French and English. His companions laughed at me. I heard a door open behind me and then I was dragged backwards by claws that dug into my shoulders and made me bleed. 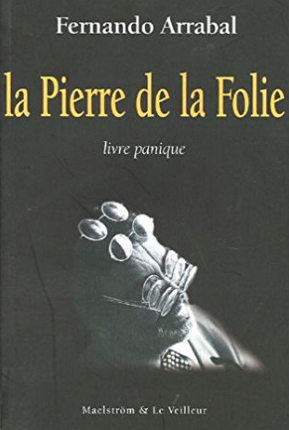 Posted in Book reviews and tagged Fernando Arrabal, la Pierre de la Folie, untranslated. Bookmark the permalink.